Our mission is to rehabilitate stray and abused animals and birds and provide them with a safe home. We aspire to build an animal reserve and a bird sanctuary for homeless animals where we will feed and vaccinate them. We also wish to open a hospital with mobile clinics in order to provide medical help to injured/abused animals. The spoon-billed sandpiper, three-toed sloth and a long-beaked echidna are among the 100 most endangered species in the world, according to a new study. The list of at-risk species has been published as conservationists warn that rare mammals, plants and fungi are being sacrificed as their habitats are appropriated for human use. Conservationists fear the species in 48 countries may die out because they don’t offer obvious benefits to humans! The list is headed by the ‘weird and wonderful’ spoon-billed sandpiper which breeds in Russia and migrates to Bangladesh and Myanmar. There are just 100 breeding pairs of the birds left in the wild with that number declining by a quarter annually. There are also just 500 pygmy three-toed sloths left on the uninhibited Isla Escudo de Veraguas, 10 miles off the coast of Panama. 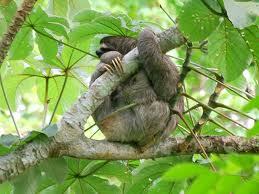 They are half the size of sloths found on the mainland and are the smallest and slowest sloths in the world. But their numbers are declining with fishermen and lobster divers ‘opportunistically’ hunting the small animals. Man’s greed and barbaric attitude towards animals has made it increasingly difficult for conservationists to protect the most threatened species on the planet. While the utilitarian value of nature is important, conservation goes beyond this. Do these species have a right to survive or do we have a right to drive them to extinction??? If we take immediate action we can give them a fighting chance for survival. But this requires society to support the moral and ethical position that all species have an inherent right to exist. Howdу ѵerу nice website!! Ϻan .
. Beautiful .. Wonderful .. І ωill bοokmark your blog and tаke the fееds аlso?